Michael Hanley ('13 MM-pedagogy and performance) participated in the National Association of Teachers of Singing (NATS) Intern Program during summer 2016. The program was housed at the University of North Carolina-Greensboro during the month of June. The NATS intern program pairs experienced and recognized master teachers of voice with talented young members. Within a format designed to promote the dynamic exchange of ideas and techniques, the goal is to improve the studio teaching skills of these promising young teachers. Each intern teaches lessons and performs in a master class under the supervision of a master teacher. In addition, the interns attend special lectures and demonstrations. Michael joined the Boston Conservatory faculty in fall 2015, and teaches musical theater voice and career skills classes. His students have achieved success in a variety of musical genres, including musical theater, opera, and television, and they have performed with regional and professional theater companies including the Glimmerglass Festival, Pittsburgh CLO, Finger Lakes Musical Theatre Festival and NBC’s "The Voice." 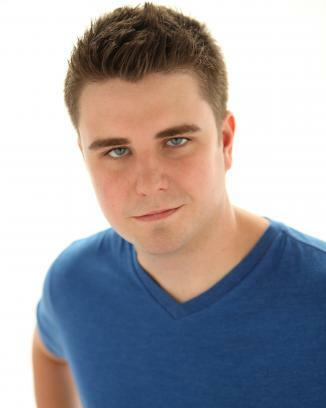 As a singer, the Buffalo, NY native was most recently seen in the role of Schaunard in La Bohème as a guest artist with the Penn State Opera Theatre, as well as the role of James Vane in The Picture of Dorian Gray with the Aspen Opera Theatre Center in Aspen, CO. Additional credits include Spinelloccio in Gianni Schicchi with the Aspen Opera Theatre Center, Guglielmo in Così fan tutte, Marco in Gianni Schicchi, Top in Copland’s The Tender Land, Sam in Trouble in Tahiti, and the title role in Mozart’s Der Schauspieldirektor. Hanley returned to the Aspen Music Festival in 2015 to perform the role of Mercutio in Gounod’s Roméo et Juliette. From 2013–2015, Hanley served on the faculty of Syracuse University where he taught voice, voice for musical theater, and musicianship courses. While pursuing his graduate studies at Penn State, he was a voice student of Richard Kennedy and Mary Saunders-Barton. He holds a bachelor’s degree from the Eastman School of Music.